Oudh Oil fragrances, an ancient hidden treasure of fragrance, has been treasured for centuries as liquid gold. It is harvested from the Agar tree, originating in the Assam region of India, over time it has spread throughout South East Asia. With a unique fragrance, arabian oudh Oil perfumers highly value this natural perfume’s sweet, woody and complex aroma, which lasts three to five times longer than standard perfumes. 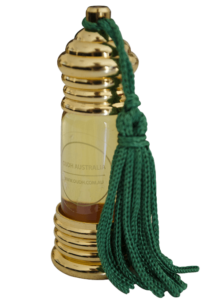 As a non-irritant that is alcohol and chemical free, Oudh Australia offers 100% organic Oudh Oil fragrances and it can be applied directly to the skin, or as a base note for perfume compositions. More than just its exotic aroma, organic Oudh oil fragrances have numerous beneficial properties including calming the body, enhancing awareness, reducing stress and fear responses and promoting harmony, clarity and mental functionality. 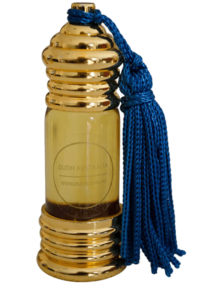 Oudh Australia offers five unique Oudh Oil fragrances: Oudh Agarwood, Oudh Masti, Oudh Saffron, Oudh Sampa and Oudh Musk. The complex Oudh Oil fragrances are considered so precious that its value is estimated at one and half times greater than gold. Hence, arabian Oudh oil fragrances are often called “Liquid Gold” too. Oudh Musk’s enchanting woody Oudh oil fragrance is filled with organic musky aromas of sandalwood oil, agarwood oil, rose, organic musk, and a delicate note of roasted earth soil. The magnificent aromas of Oudh Musk provide a calming and pleasant effect to the mind and may help in reducing stress and anxiety. Go for Oudh Musk oil. Oudh saffron’s indulgent reminiscent of saffron, essence of vetiver and honeysuckle with an Oudh oil base creates this mind-boggling Oudh saffron fragrance. Wear this startling aroma of Oudh saffron with pride to leave a serene effect on yourself and those around you. Go for Oudh Saffron. 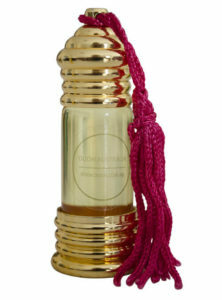 If ‘Jasminum Sambac’ is your favorite fragrance then ‘Oudh Sampa’ is your soul mate in fragrances. Also known as the king of flowers, Jasmine Sambac is one of the most popular essential oils for perfume as it lends a very powerful floral note that easily maintains its presence even in very small amounts. It is a Unisex Fragrance and yet more popular among women. It smells fresh and feminine without being too overwhelming. With good quality, smelling ingredients and superior lasting power, Oudh Sampa is light yet exotic, not too heady as Jasmine can be. Go for Oudh Sampa. Oudh agarwood’s magnetic woody fusion of agarwood and sandalwood oil is sure to add a charm to your personality and hypnotize your sense of smell. Oudh Agarwood’s serene fragrance will help you feel good about yourself. The calming and soothing effects of Oudh agarwood may also help in reducing stress and anxiety. Go for Oudh Agarwood. The magnificent floral aromas of Blue Lotus, Marigold and Royal Poinciana infused with a mild note of Oudh oil and Sandalwood oil craft this marvelous fragrance of “Oudh Masti”. Oudh Masti is a symbol of good times and precious moments in life. Indulge yourself in Oudh Masti’s exotic fragrance with joy. Go for Oudh Masti. Free from alcohol and synthetic chemicals, these serene oudh oil fragrances’ aroma is 100% organic. Extracted through the organic hydro distillation process to retain high quality and natural aromas of this oudh oil. “Oudh Masti” lasts 3-5 times longer than other alcohol based perfumes. 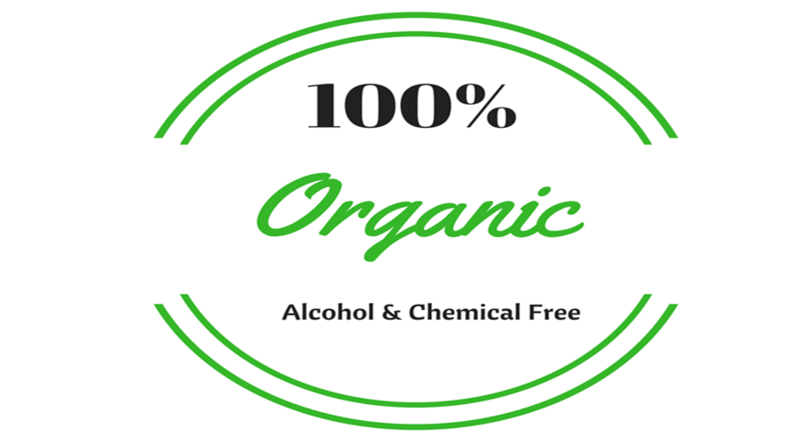 Both men and women can wear 100% organic Oudh oil fragrances directly on the skin. The thick natural oudh oil fragrances will evaporate very gently with your body heat and will keep the aromas alive throughout the day or night. From feminine florals to crisp citruses and heady woods – whatever your perfume preference – oudh oil fragrances out there for everyone. People usually apply a little on their wrist, on the neck, behind the ears and or other body parts. 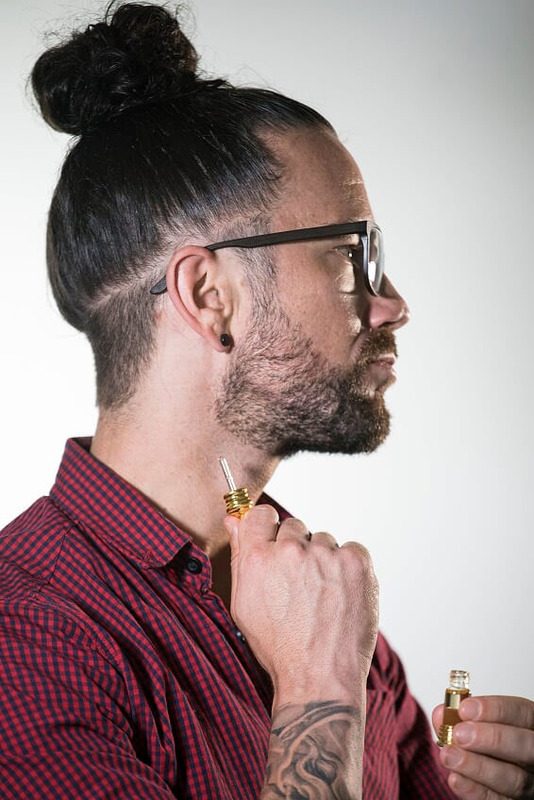 Some smart, creative guys even rub a small amount of oudh oil fragrances on their palms and apply it to the beard to add a sensational smell to their smile. While others do a secret handshake leaving other person mesmerized by their smell even after they leave. Buy oudh oil fragrances here.